With ever-more sophisticated and powerful techniques at their disposal, forensic scientists have an unprecedented ability to help solve even the most complex cases. 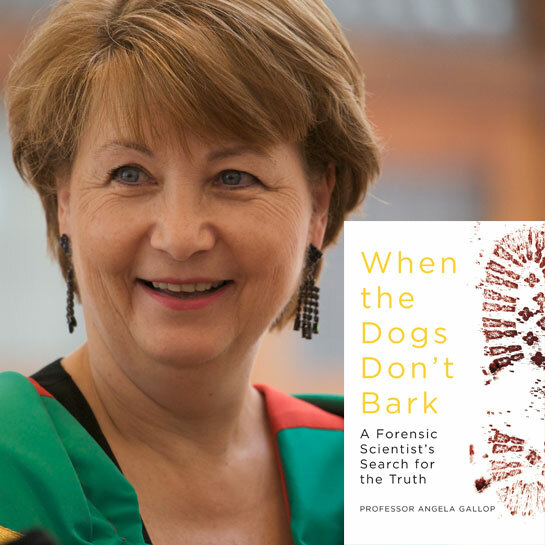 Angela Gallop is the UK’s most eminent forensic scientist. Her first crime scene, over 40 years ago, was for a case involving the Yorkshire Ripper. She has helped solve numerous high-profile cases, including the killings of Stephen Lawrence, Damilola Taylor, Rachel Nickell and Roberto Calvi. When the Dogs Don't Bark is the remarkable story of a life spent searching for the truth. The event will be followed by a free tour of the University of Derby's state of the art Crime House. The facility offers seven replica domestic and commercial scenes, a blood spatter room and fully panoramic CCTV and audio.